Mohagen Hansen Architecture | Interiors is currently working on a 150,000 sq. 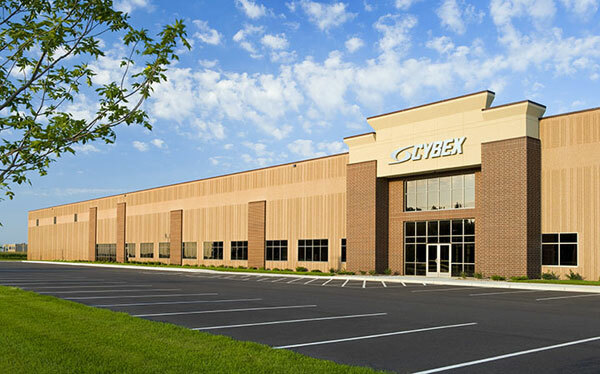 ft. expansion to the Life Fitness – Cybex Industrial Building in Owatonna, MN. The current building, which was built in 2007, is 340,000 sq. ft. consisting of a 260,000 sq. ft. manufacturing area, a 30,000 sq. ft. office, and a 50,000 sq. ft. warehouse. The Mohagen Hansen team is working to implement solutions for efficient flow of people and vehicles on the site, while keeping Life Fitness’ branding concepts consistent. Life Fitness is an international fitness equipment manufacturer, whose parent company, Brunswick Corporation, acquired Cybex in January of this year, jump-starting its expansion which is set for completion in December. Life Fitness believes the expansion will make room for over 100 new employees, increasing production and providing local job opportunities. Mohagen Hansen has worked with Life Fitness in the past, expanding its location in Ramsey, MN. We enjoy the opportunity to work with this company again, and we are excited to provide the opportunity for expansion to the company, as well as the local job market.